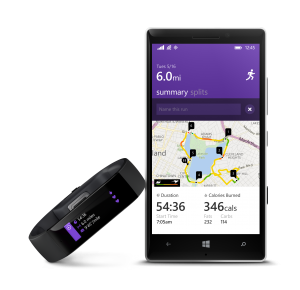 Microsoft Band – Merges healthcare with technology with use of wearables. Technology in the past decade has seen a rapid boost and, as such, made huge progress in the way we see technology around us. From smartphones to tablets and now wearables, technology has penetrated into our daily lives and has changed the way we interact with elements around us. The Pharma industry is no different; they too have embraced the power of technology and hopped on the bandwagon of growth. This has proven to be immensely helpful for both companies and individuals. How this Bridge Helped a Startup. We have our client, ViewsIQ as a great example of such a marriage. ViewsIQ is a start up with fresh new ideas right here in Lower Mainland BC. It was founded by a team of technology engineers with a bright vision and a great idea. They saw a need for imaging in the field of pharma and set out to fulfil this need by innovating and creating ground breaking technology that changed the way digital imaging works in labs. Ria Inducil, our senior recruiter for Pharmaceutical & Biotechnology division suggested that they hire a Medical Sales Specialist and so began their success. The Medical Sales Specialist was able to target the major labs and explain the product in the best way to those who would directly benefit. Today they not just serve pathology labs but different labs such as University Labs, R&D Labs across different fields. Today, this collaborative effort has inspired people to learn more about these fields and make new discoveries in the realm of medical technology (or pharma technology whatever you want to call it). As a result, there has been a substantial increase in the quality of candidates, making the job market ever so competitive. Going forward, we predict that there will be an influx of start-ups with ambitious ideas that further enhance the field of medical technology / pharma technology. Tech based start-ups in the pharma field would require someone on the team with a medical background to boost credibility and tackle pharma-specific obstacles. Finding such individuals could prove to be a challenge, especially when the company is young and fresh. Start-ups must have a human resource strategy readily available to help them be successful. HR strategy is not often given as much attention as it requires, which can not only affect growth but survival in the market. This is where a recruiter can help boost the recruiting strategy and identify what needs of a business.